Kay’s Shawl | Knit Like You Mean It. I knit this shawl for my mother-in-law for Christmas. I have some photos of her wearing it on my camera, but haven’t gotten them off yet. The yarn is Miss Babs Yowza (rav lnk) – two glorious big skeins of purpley goodness. 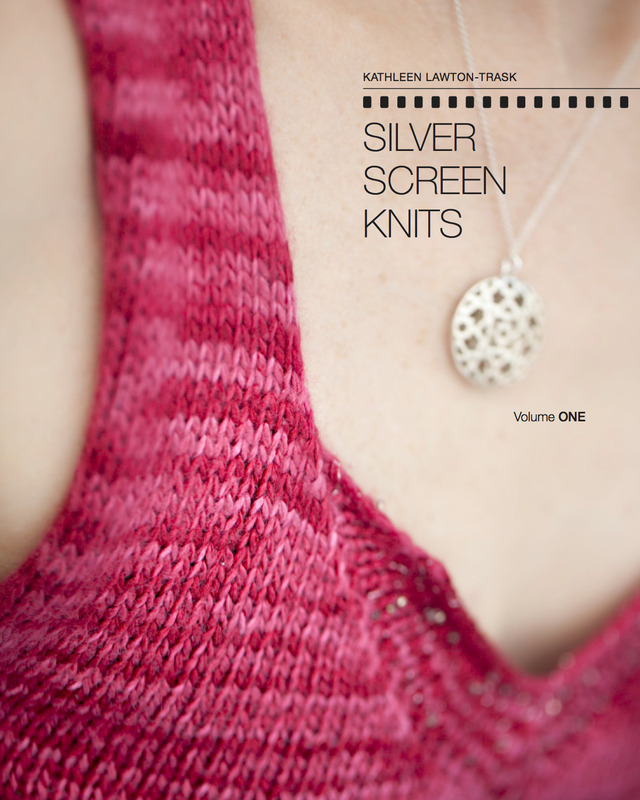 The pattern is just simple garter stitch, because Kay isn’t the lace shawl type. I tried to make it a bit of a prayer shawl, putting good thoughts into it as I knit. What I did not do was use good thoughts as I wound the skeins – as Danielle & Co. will attest – winding way too fast and ignoring a few early signs of disaster. I lost almost half my third skein to an unbelievable snarl. I am going to have to learn to make a stuffed animal of some kind and stuff it with the mass of tangled yarn. 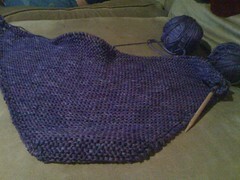 Lesson: Serenity is key in ALL phases of the knitting process.